ILLEX Easy Stalking Bag is a lightweight storage waist pack that is both comfortable and hard wearing. A veritable mobile workstation for the roving angler. Perfect for ultra light techniques and short street urban fishing. 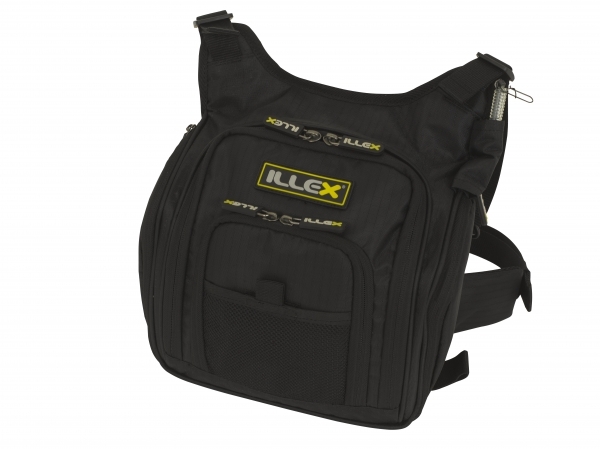 The Illex Stalking bag as a large adjustable strap with ergonomic neck protection, side adjustable holding straps with easy clip closing, main compartment for lures and accessories with extendable opening to prevent objects from falling, zipped frontal and side pockets, various pockets and net compartments for small accessories. Dimensions: 26cm x 28cm x 10cm.